There was a growing buzz in the office on Friday morning as we awaited the arrival of former England, Sunderland, Manchester City & New York Cosmos legend – Dennis Tueart. Dennis was of a crop of players that relished cutting inside and striking at goal using their favored foot, often meaning switching flank, which is comparable to what the likes of Lionel Messi and Cristiano Ronaldo do so well today. Starting out at Sunderland and then moving to Manchester City, a club which he later went onto direct, he attracted the attention of the England selectors and made his debut appearance for the first team against Cyprus in 1975. He only went onto to win 6 caps, which left most fans flabbergasted, although Dennis was never rueful and was proud to have played at all. 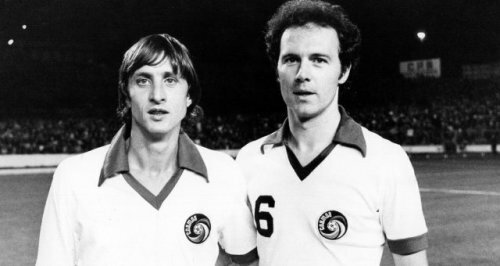 A few years later It was rumored he had gained admirers from within the Manchester United camp but instead he crossed the Atlantic to play for the legendary New York Cosmos at its peak between 1978 and 1979, alongside the likes of Franz Beckenbauer, Carlos Alberto, Johan Cruyff and Rivelino, before he returned back to Manchester City. As he approached the building I could see he was clutching a large frame and as he got closer, it became obvious that within the frame, was his Admiral England shirt – brilliant! After a firm sportsmanlike handshake and a coffee (white, no sugar), we talked to Dennis about his prolific career as a professional footballer - a career that cumulated in 467 appearances and 163 goals. What was your best individual football memory? "Secondly, because although painful, it was in front of a lot of fellow Newcastle people and I felt alot of pride in being the only geordie on the pitch"
Who was the best player you played alongside? What do you think of the modern game? Is there anything you would bring back? What do you remember about Admiral? 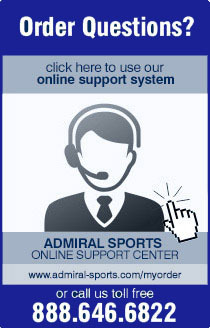 Do you have a favorite Admiral shirt? Do you think England will win the World Cup soon?